I attend orchestral concerts infrequently, which means every time I do attend, I am always surprised by the sound. I don’t suppose for a minute that anyone reading The Mumble was born before we had concerts on the radio and on television, let alone on vinyl. Right now we have podcasts, downloads, streaming audio, so if we want to listen to a symphony or a piano concerto we don’t need to go to a concert hall. If you recognise that as the world you live in, then I suggest you take the first opportunity to get to see our national orchestra in action. Pick a programme that includes something you know already – the Pastoral is a good choice – and buy a ticket. The reason is that you will be instantly struck by the sound. It’s different. It is a totally acoustic experience, with absolutely no electronic intervention at all. The musical sounds come at you from new directions, so that you hear the contribution of the various instruments with incredible clarity. You suddenly realise that this is what a symphony or a concerto is supposed to sound like. For the Mozart, the slightly larger orchestra was gathered into a horseshoe shape around the piano, with the soloist’s back to us, and with the woodwinds standing stage right. 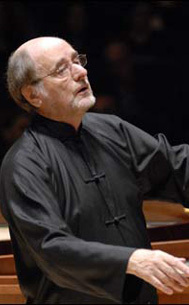 Roger Norrington directed from the far side of the piano, facing outwards. This layout surprised me, but perhaps that is because it differed from what I’ve come to expect from televised concerts. Lars Vogt has a terrific touch on his instrument, and the performance was excellent. The second movement, Romanze, is one of these pieces of music that ‘everyone knows’. For an encore he gave us another – a waltz by Johannes Brahms, Op.39 No.15 in A#Maj. For the Beethoven, the orchestra grew to two-and-a-half sizes larger than it had been for the Haydn. One would have thought that the experience would have increased in proportion, but in fact the size of the orchestra didn’t seem to matter. Our immersion in the music was total for the Haydn, the Mozart, and the Beethoven. The solo touches in the second movement of the flute, oboe, and clarinet, becoming respectively the nightingale, quail, and cuckoo, were enough to draw special applause from the audience at the end of the concert. I am going to add one single quibble, with the proviso that I am a layman without musical learning, and that is that the first movement was taken at half a notch too quick a pace, giving it almost a feel of being rushed. However, I’m aware that here I’m arguing (with the greatest of respect) with Sir Roger Norrington, and at the end of the day I’m bound to lose that argument.